It was another case of one step forward, one step back for the Buffalo Sabres on Friday night. The Sabres were coming off a relatively solid effort in their last start, a win against the Washington Capitals. 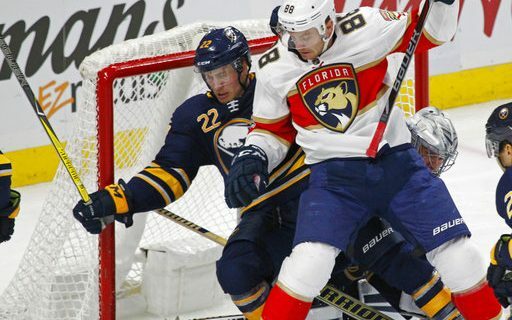 The next opponent on the schedule was the Florida Panthers, a team that had sunk below the Sabres in the Eastern Conference standings. 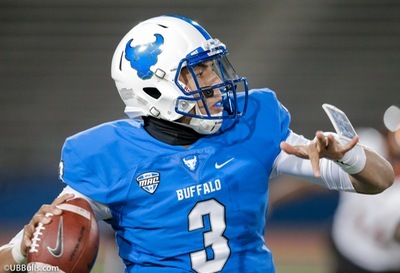 This seemed like an excellent opportunity for Buffalo to make it two straight wins (for only the second time this season) and develop a little consistency. If it was, the Sabres certainly didn’t take advantage of it. They dropped a 4-1 decision to the Panthers before 17,812 in the KeyBank Center. “We didn’t keep doing what was successful against Washington,” goalie Robin Lehner said. It was an odd night at the rink for the Sabres, who seemed to let this one slowly slip away. Buffalo and Florida didn’t do much offensively in the first period, as Kyle Okposo scored the only goal in the opening 20 minutes. Coach Phil Housley said he was relatively happy with the way the opening period went, although Lehner pointed out that the team had a few too many turnovers for everyone’s liking. But there were no disagreements about the Sabres’ play in the second period: not good enough. Florida seemed to perk up early in the second period, when Jake McCabe exited for a hooking penalty. The Panthers’ interior passing was superb, and it seemed almost inevitable that they would figure out a way to score. They didn’t, at least on that power play, but Evgenii Dadonov tied things up at even strength a few minutes later. Florida kept the pressure on during the period, which eventually took its toll on the Buffalo defense. “The forwards were responsible for this loss,” Okposo said. “We let the D get plastered all night long. We really laid an egg in the last 40 minutes. You could sense what was coming by the third period, and it came with 3:50 gone. Ian McCoshen threw a puck at the net from the left point. Lehner needed X-ray vision to see it, and the shot found the net for the game-winner. The Panthers added a couple of empty-net goals to account for the final margin. Yes, the Sabres might have gotten lucky at some point late the game, and gotten the tying goal. But that wouldn’t have concealed the fact that Buffalo’s top forwards did little on the night. Jack Eichel wasn’t too visible on this particular evening, one in which he was needed to be better than a minus-3 with three shots. At the end of the night, the Sabres were again looking up at the rest of the Eastern Conference – Florida has 12 points as well, but with a game in hand. Through five weeks of the season, it’s easy to conclude that they probably deserve to be there for the time being. Nice article Budd! Never thought “rebuild” would take this long.